It is difficult to determine the success of the VBL. It was a unique experience and I did enjoy the time I spent interacting with others online. I created a FB event where people could join and a nice surprise that came out of this that people who hadn’t initially joined participated. From the feedback I have received, most people had fun, which I am pleased about. The guest authors I had were brilliant, and I had a great time asking them questions and answering theirs. The giveaway activities worked, though slow to start with, gained momentum as the event progressed over the hours. Did I make the sales I had envisioned? 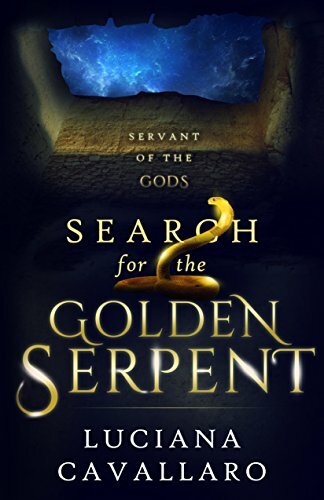 Compared to the eBook sales of Book 1, Search for the Golden Serpent when published in 2015, it was significantly better. I would have liked more sales, but I hope from the positive reviews, and through word of mouth, there will be more interest and people will purchase the book. Overall, the VBL is much more suited to eBook sales. The lead into the VBL didn’t go smoothly, and teaching full-time certainly created more headaches than I anticipated. Communication with my cover designer was a 24-hour turn around, and that set the timing to approve the cover behind schedule. This meant I couldn’t upload pre-orders on the various outlets to promote the new book. Added to that, I decided to outsource the interior layout for the eBook and paperback, to reduce stress and time I knew I didn’t have. That didn’t work out well at all. There was miss communication with the person who was formatting the eBook, and in turn I didn’t receive the final file until Friday, 29 September. It was too late for me to upload the new file onto Amazon, as they locked the book to prepare and send pre-orders to customers. You can imagine the stress I was under. I did manage to load the new file on Sunday, the day of the launch! That particular saga is still ongoing. My main concern is how this will affect customers/readers opinion of the book. Will the format put them off from reading it? I say yes, though I am hoping readers will upload the new version and all will be well. The actual VBL was a breeze, it was the hiccups and hurdles along the way that tarnished the overall outcome. NB: For the full report on the VBL, go to my Resources tab and click on the White Papers icon. My heart goes out to you, such a tense time of waiting for everything to fall into place. I admire your persistence, especially while holding down a job. I used to multitask with ease, but have slowed right down, at long last to make space for writing. This is just to say I wish you the very best success with your books. Thank you! It goes to show even with careful planning, you can never be certain it goes the way you’d like to. My persistence comes from not wanting to let go of my dream of writing full-time, and stubbornness. Plus, I need to work to pay for all the writer’s expenses! What an informative summation. My book launches are much less organized, looser, so this was eye-opening. I have re-uploaded at least one of my books several times. I’m not sure how readers react to that. I’ve never gotten a message on ebooks I’ve purchased that a new upload is available (except for yours) so don’t know if it’s a plus or not. Thanks for sharing how this went for you, Luciana. I wrote the review to give an overview of the event and to be as objective as possible. And I wanted to give other Indie Authors an idea of what to expect, though everyone’s experience is different. The VBL in itself went well, but it was getting the book prepared for the launch was the downer. Thank you, Luciana, for sharing your experience regarding the virtual book launch. I enjoyed participating and celebrating your virtual book launch. It is a tribute to you for how smoothly the actual FB event unfolded as it allowed for positive interactions among the various people from around the world. Unfortunately, glitches happen, but we can all learn from this. I re-read your updated e-book on Kindle and thoroughly enjoyed it! Thank you, Linnea. So pleased to read your comment as to how smooth the VBL progressed. I am quite happy with how the VBL event worked, and in time, no doubt I will acknowledge it for the positive outcome it was. And it was fun interacting with yourself and others from around the world. Where else can than happen? And from that perspective, it was successful. Maybe in a few years I’ll have another VBL; LOL, once I’ve gotten over this one! It was an honor to participate in your VBL and I applaud you for this accomplishment! Considering participants lived on different continents, was in itself a great feat. You kept the VBL active with fun contests, prizes, questions/answer time with authors, and much more, and most amazing was that you kept it going for 24 hours +! And we all had fun! As for the hiccup with the cover designer, some things are just out of our control. It happens even with the most meticulous planning. I think people take that into consideration. You are a “trail blazer” who has paved the way. If I ever write a second book, I will surely ask for your advice on how to manage a VBL! Hopefully I will carve out time this week to read your new book. Can’t wait to find out what happens! Thank you for the lovely compliment 😀 I did enjoy the VBL, in spite of the hurdles. The best part was the interaction with wonderful people such as yourself, and many others. If I was to do it again, that would be the main reason. I think it’s a very informative overview you’ve given here of the VBL, Luciana. I have your newest book and will read it soon (fingers crossed before the end of the year). I applaud Linnea Tanner’s review of it that I just read over at her site and know the word will spread for your quality writing. Wishing you a wonderous day! Thank you, Christy. It certainly was a a new lesson in a different book launch, and learnt new skills! I hope hope you enjoy the story.